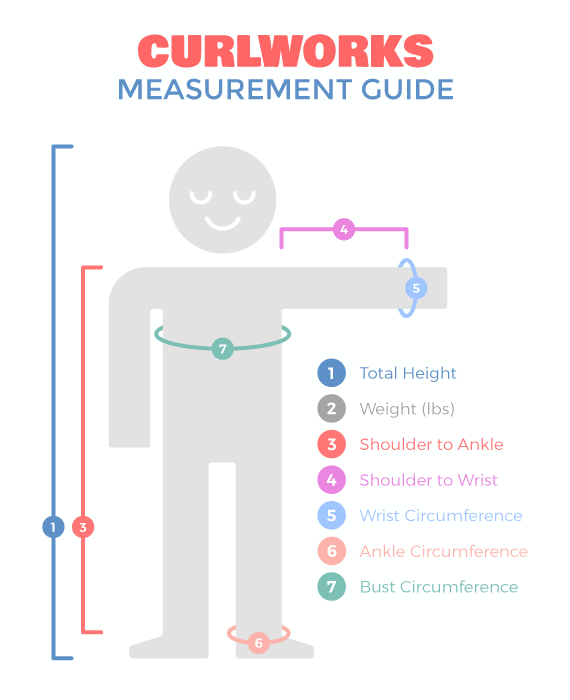 In order to commission us for a custom kigurumi, we'll need to ask you for a few basic measurements. Please make sure that these measurements are as accurate as possible! We've whipped up a handy-dandy measurement guide to the left to help you out. If you have any questions, let us know.